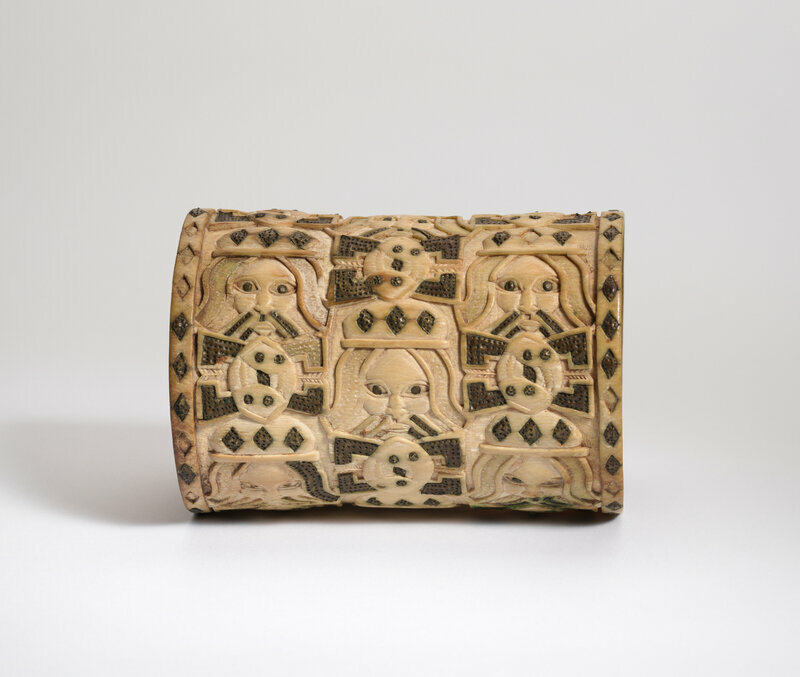 Bracelet, Edo peoples, Nigeria, Court of Benin, 1550–1680 (?). Ivory, copper (?). H. 5 1/8 x Diam. 3 9/16 in. (13 x 9 cm). 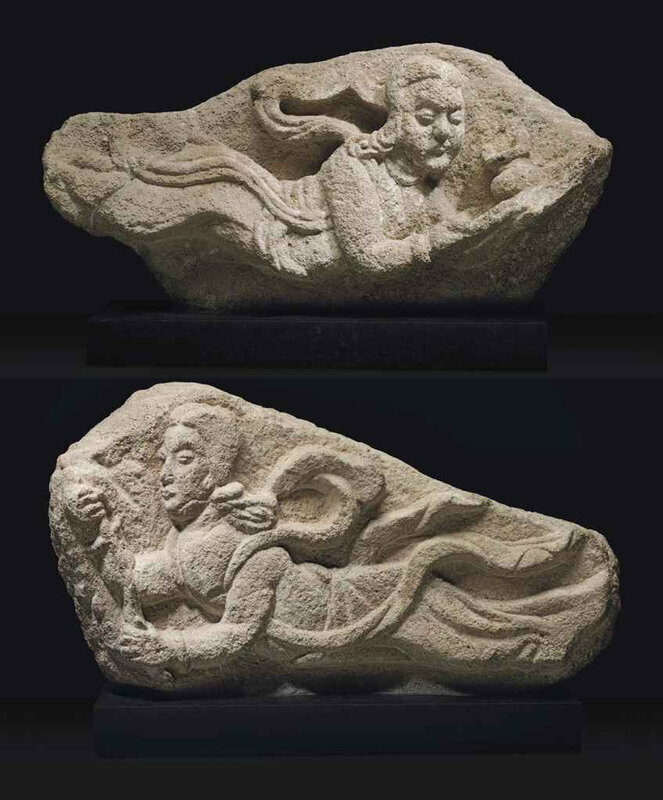 The Michael C. Rockefeller Memorial Collection, Gift of Nelson A. Rockefeller, 1964, 1978.412.340. © 2000–2018 The Metropolitan Museum of Art. 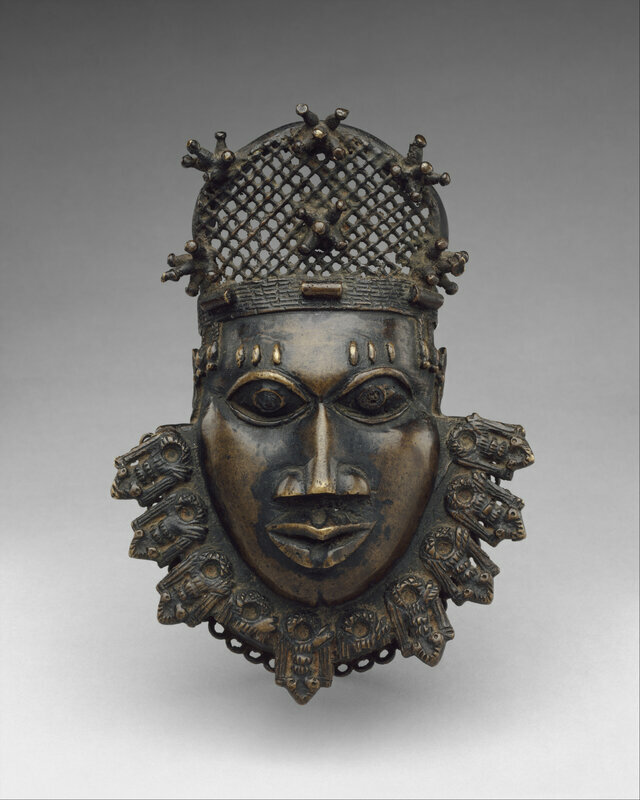 At palace festivals, the king and chiefs of Benin wear pairs of long, cylindrical bracelets made of ivory or brass decorated with images that symbolize royal power. On this example, images of mudfish and Portuguese heads--both referring to the king's divine nature and his association with Olokun--alternate checkerboard style around the bracelet. 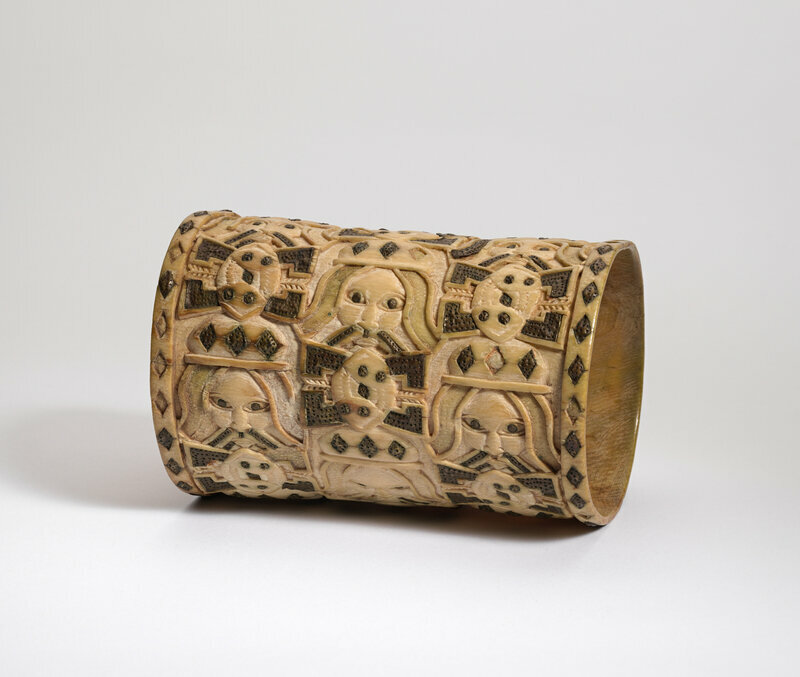 Bracelets were among the few ivory objects available to chiefs and not strictly monopolized by the king.